The line has been drawn in the sand, and Alex Smith openly expects 2017 to be his last season with the Kansas City Chiefs. 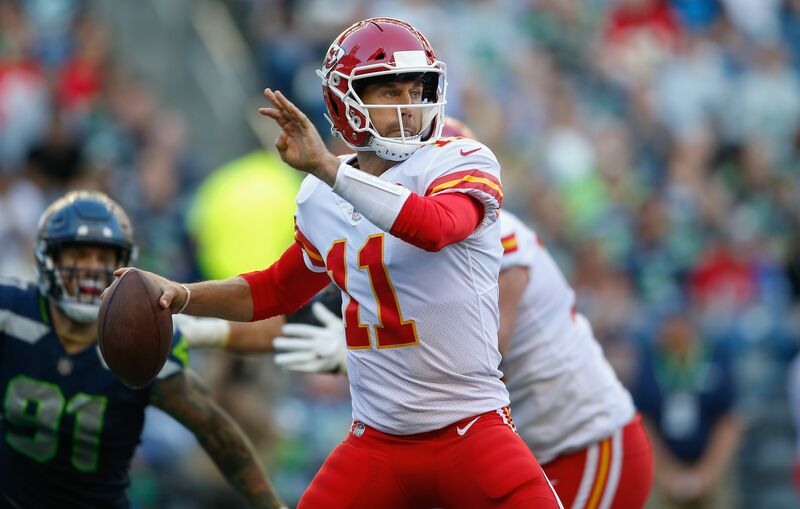 With their move up to get Texas Tech quarterback Patrick Mahomes in the first round of April’s draft, the Kansas City Chiefs put Alex Smith on notice. He performed very well in Week 1 against the New England Patriots, with 368 passing yards and four touchdowns along with a deep ball abandon he hasn’t shown, but barring a run to the Super Bowl, Smith’s time in Kansas City is nearing an end. Smith has been here before, when an injury opened the door for Colin Kaepernick to replace him as quarterback for the San Francisco 49ers in 2012. He was traded to the Chiefs the following offseason. During an appearance on “In Depth with Graham Bensinger”, when asked specifically if he felt like 2017 would be his last year with the team, Smith acknowledged his long-term future (or lack thereof) with the Chiefs. Smith’s contract goes through 2018. But the Chiefs can move on next spring, before a $2 million roster bonus is due on the third day of the league year, and carry just $3.6 million in dead money against the salary cap. Smith acknowledged the structure of his contract and the easy out it gives the Chiefs. Smith would automatically become one of the better quarterbacks available next offseason, along with Kirk Cousins and perhaps Drew Brees. Among teams that could be in the market for a quarterback next March, the Jacksonville Jaguars, Denver Broncos, Arizona Cardinals and even the Washington Redskins (assuming Cousins leaves) come to mind immediately as potential fits for Smith.